Ten years ago, Kellogg enabled Robert Damico to pursue his dream: a global sport company, combining a passion for sport with an ambition to explore globally. Nike was the top choice, and 10 years on it has exceeded all expectations. After acclimating with global Nike strategy in Portland, Oregon, for the first four years, he then spent his next four years in Brazil, an energizing Latin market leading into WC14. For the past two years, he has been the soccer GM in Japan, the most rewarding and fulfilling part of the journey. 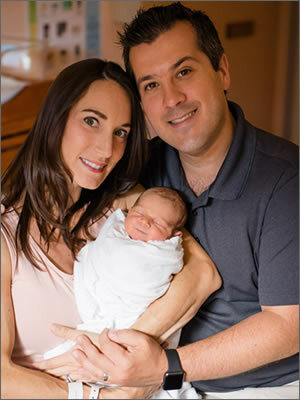 Daniel J. Gandor and Lisa Gandor of Lake Zurich, Illinois, were pleased to welcome their second child and future Wildcat, Jackson James Gandor, to their family on July 7, 2016. Big sister Josie is thrilled! David Shreni married Bonnie Tsang in San Francisco in April 2016. They incorporated their rich Hispanic, Indian and Chinese traditions into their celebration with many family and friends. Reed Tanger has been named Qantas domestic CFO. Tanger’s new role comes after serving more than three years in Sydney as head of group strategy, where he worked on the group’s competitive strategy, as well as network and fleet planning. Prior to Qantas, Tanger was a global aviation consultant at Booz & Company, based in both Washington, D.C., and London.